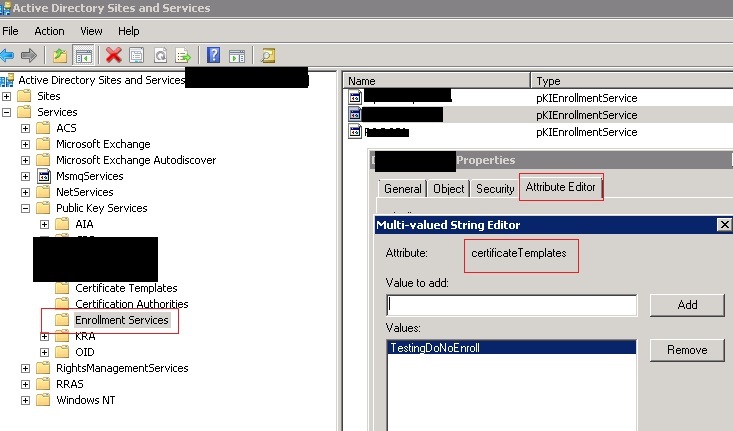 The new cert template in this case would be "TestingDoNoEnroll". Look like the enrollment clients could not find the issuing CA. On a domain controller of account forest, I did a check on the "AD Sites and Services" console with "View / Show Services Node" enabled. Expand on "Services / Public Key Services / Enrollment Services" and I check on the object of issuing CA on resource forest. Double click on the object and select "Attribute Editor / certificateTemplates". 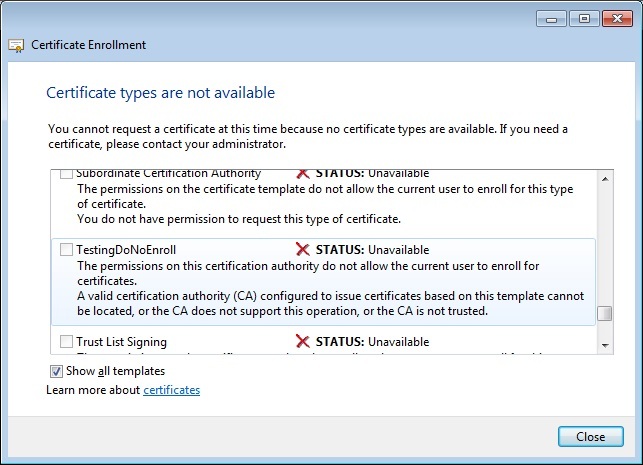 The new template was missing - no wonder that the CA for the new issuing cert template could not be found. I added the new cert template name and enrollment worked as expected! In Windows Server 2012, remote management is enabled by default but not Remote Desktop. To enable RDP on the server, add the target server to the Server Manager and run remote Powershell console. Refer to "Windows 2012 Core Survival Guide – Remote Desktop" for more information.